As we head into the lazy days of summer, real estate markets continue to shift in the Northeast, and new trends are emerging as the economic rebound continues. Even though the bumpy ride of 2016 and 2017 endures, CBRE reports the New England real estate market is expected to perform well through 2018 and adapt to fluctuating financial conditions and increasing end user demands. Deregulation promises growth while some remain skeptical of long-term impacts. The Federal Reserve Bank’s New England Public Policy Center reports 2018 increases in employment across New England, with construction exceeding all other supersectors and outpacing the nation. Economic growth in New England is still restrained by political uncertainty at both the state and federal levels, more so in Conn. and R.I., with R.I. turning a corner in housing, recording some of the fastest price increases in the region. Surprisingly, N.H. remains the only state in New England with economic growth rates that exceed national trends. 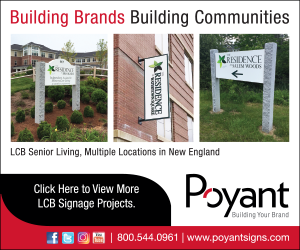 Due to Boston and Cambridge area space limitations and rising leases, life sciences labs, industrial warehouse tenants, and other end users have begun migrating to the inner suburbs, some to 128 and beyond. FMI reports overall steady increases in construction inside Mass. Areas to continue to watch include Worcester, Springfield, Greater Cambridge, and the corridors of 495, 128, and the Mass Pike. Construction forecasts for the Northeast remain generally optimistic. New England Hotel Realty reports the rate of new U.S. hotel construction is rising and will continue a growth pattern through 2018. At the top of the U.S. hotel market, Boston area demands for lodging are fluctuating but rising overall. Developers and REITs have been capitalizing on demand, some following the migration as it flows from the Boston and Cambridge hubs. According to Pinnacle Advisory Group, late 2016 marked the first dip in suburban Boston hotel demands and the largest increase in supply in over a decade. Projections for 2018 include dips in RevPar and occupancy for the suburbs while visitors continue to seek select service brands in these outlying areas with convenient access to the downtown core. CBRE and HFF predicted the Greater Boston hotel market would remain one of the most sought after gateway lodging markets in the U.S. with long-term holding periods the new norm. Difficult entitlements and high land costs were expected to impede oversaturation, but Boston’s local supply, demand, occupancy, and RevPar are anticipated to climb with 30+ new hotel projects in the pipeline. Recent disruptions of the Boston and Cambridge hospitality market during peak periods is an anomaly worth tracking as Airbnb and other nontraditional OTAs are increasingly utilized for bookings. Laureen Poulakis is president at Brennan Consulting, Inc.